So are you ready?? 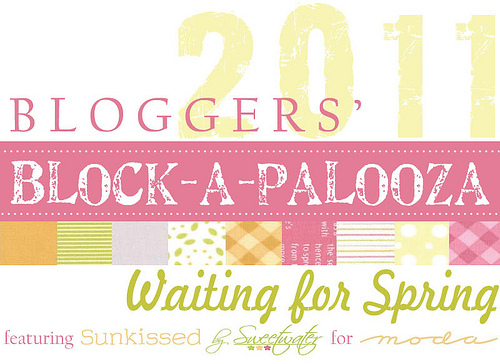 Today is the big beginning of our Block-a-Palooza “Waiting for Spring”!! Go visit John for the first block and then follow the schedule as listed below!! Have fun, and don’t forget to post your blocks and progress at the Flickr group page!! Happy sewing everyone!! Let the Palooza-ing begin…. Is Palooza-ing a word? I guess it must be, as I just made it up……..I love the English language!